You never thought about retirement estate planning until the doctor asks you to come into the clinic. They explain your recent test results. Your condition has worsened and is now considered terminal. You’ve been given you a few months to live and they suggest you prepare yourself for the inevitable – your death. It is a shock to know that your ‘self’ will no longer exist. After the bombshell sinks in it is then to time make arrangements – to settle your affairs, make peace with your life and say goodbye to loved ones. The shock of knowing your time is near is very difficult to comprehend and you will probably experience at least one, if not all of the following; denial, anger, bargaining and depression. It is imperative to work through these emotions so you can be in the right mind frame to accept your death. If you are religious, you might find consolation and support turning to your beliefs during this time. However, people use all sorts of avenues to help them, including personal experience of others, counselling and literature (self-help and spiritual books). It is extremely important to sit down with your loved one and have a frank and honest discussion about your prognosis. It will help them prepare for the eventuality that you will no longer be among them. They will also understand what to expect as your condition deteriorates and you lose certain mental or physical capacities. It is also the time to express feelings. No one wants to leave matters unsettled. If there were issues in the past, confronting them now will give you and your family peace. It will also stop you and others having regrets of ‘the things I should have said’. However, you might want to rethink confessing a huge secret on your death bed, because it could add a lot of emotional trauma on top an already stressful situation. It is very important to discuss your death openly with others. Your attitude could affect how others – especially children – perceive it in the future. By approaching it with an outlook that it is a natural part of life and nothing to be afraid of, you could be teaching others an important lesson about death. If you don’t have a ﻿will that is up to date, now is the time to get one drafted. 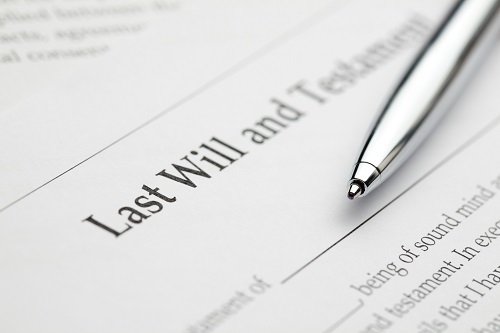 You will need a will in order to distribute your assets after your death. Think about whom you’d like to give it to and who would most helped as a beneficiary. A lawyer is always recommended when drafting a will, but since your time is limited, it is even more endorsed because they can do it quickly and correctly. It will also ensure that the will is lawful in court (if you are losing your mental capacity, the will could be considered invalid). If you need someone to make financial decisions on your behalf when you become unable to so, you can ask your lawyer to help you appoint an enduring power of attorney. Before you kick the bucket, you might want to consider doing something you’ve always wanted to in life. If there’s any time to do it, it is now. It also might bring some solace and perhaps even a smile to loved ones that you did something that brought you joy with your remaining time. Here are some suggestions on how to compile YOUR Bucket List.